Single Hinged Door in the 8'6" side. 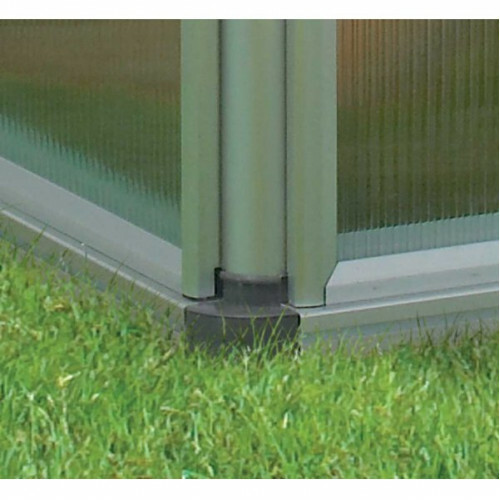 The new lockable stable-door design allows you to keep the top half of the door open to aid ventilation. 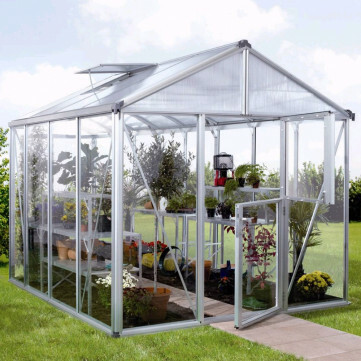 This Vitavia Zeus 10000 greenhouse is relatively simple to construct using the comprehensive instructions which have excellent illustrations. Fast UK customer support is available should you have any problems. This greenhouse is supplied as a self-assembly product. 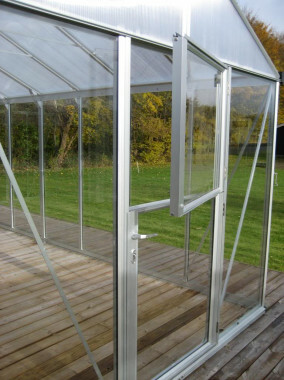 Glazing - The sides of the Zeus greenhouse is glazed with Toughened Glass, 8x stronger than normal glass, and comes in large panels so that there are no overlapping panels. The roof is glazed with 10mm Polycarbonate to give excellent safety and insulation values. 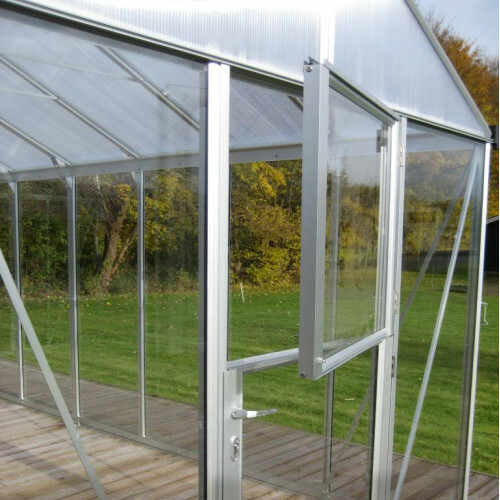 Anodised aluminium surfaces are harder than normal aluminium and have increased resistance to corrosion and wear, which means that your Vitavia Zeus 10000 greenhouse will retain its appearance for many years.